A taxi driver in New York City has been suspended and fined for refusing to drive a gay man. 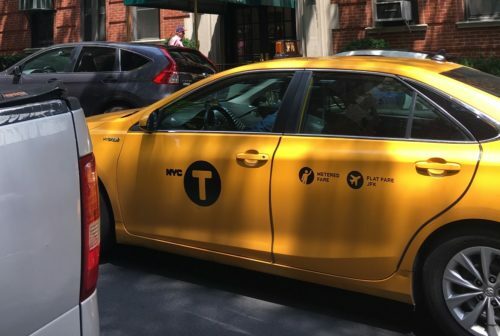 A complaint was filed against Martin Morrison, who drives a yellow cab, after he picked up a man and a woman in Manhattan this past June at 1 a.m.
Morrison allegedly asked the man if he was gay, and he said that he was. The driver then said that he doesn’t drive gay people. He pulled over and kicked both of the passengers out. The city’s Office of Administrative Trials and Hearings (OATH) heard the complaint and listened to Morrison, who denied the whole thing. The driver said that he never asked anyone if they’re gay and he doesn’t know why the two got out of the car. But the OATH judge didn’t believe him. “Here, after repeatedly and discriminatorily confirming that the (complainant’s) friend was gay… respondent indicated that he does not drive gay men,” wrote judge Fidel Del Valle in his decision. The Taxi and Limousine Commission (TLC) said that Morrison’s actions were “inappropriate and wholly unacceptable” and that he violated three rules: unjustified refusal of service, discourtesy, and performing an act against the best interest of the public. Morrison has been suspended for ten days and has to pay a fine of $1150. He has already served the suspension and paid the fine, the TLC told the New York Post.